Pros: A touching, symmetrical narrative with innovative and dynamic choreography that goes beyond the ‘normal’ perceptions of dance. 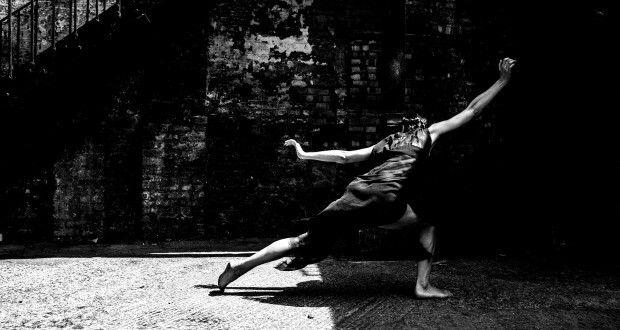 Cons: It takes some time to settle into the ideas of this dance piece, especially with the most exciting movement in the beginning taking place in the dark (one struggles to see). A promising piece, both startling and mesmerising in its imagery, with a soulful narrative that will ignite audiences’ imaginations. Threshold is one of 70 pieces forming part of The Place’s Resolution! 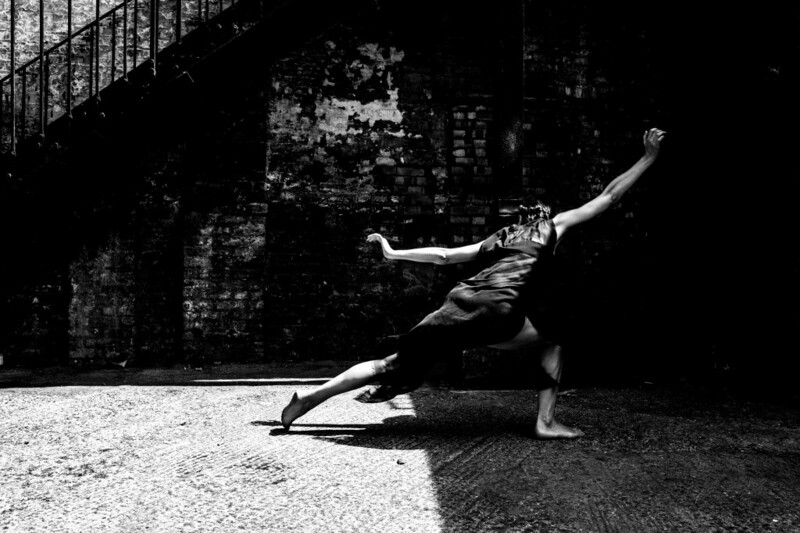 2014, an annual festival of new works by a range of diverse emerging dance-artists. Presented for one night only in a month-long programme of nightly triple bills, there must be a lot of pressure to get it right, despite the festival’s ‘test your new piece out on a friendly, constructive audience’ ethos. However, choreographer Racheal Burn and her fellow dancers need not worry, as get it right they did! Inspired by Walt Whitman’s Leaves of Grass, the piece features three women both working with and against each other, seemingly needing each other constantly while at the same time barely acknowledging each other. Despite little visual or even physical contact, the words written across the stage in chalk during one of the more charged segments, ‘We will not desert you’, spoke volumes and was evident in the choreography itself. The piece plays with contrasts between fast and slow, serene and erratic. It is staccato in both the music and the choreography, which I would classify more as movement than dance. This continual alternation of tempos and styles was both unsettling and entrancing. The use of repetitive movements or series of movements was like it’s own complex and secret language – making the piece even more intriguing, causing you to wish you knew what words the dancers were saying to themselves or thinking with every gesture. The imagery used throughout the piece was stunning and it was these perhaps stiller moments set against periods of chaos that made the most impact. While the piece was quite obviously constructed and choreographed with intellect and soul, the technical aspect needed some adjustment. At the beginning of the piece one performer was dancing completely outside of the light on the side of the stage while the other two received all the light on centre stage. While contrasts in the piece appeared to be very important, the light and dark here mostly caused me to strain to see the single dancer in the dark, presenting, what I thought, was the crux of the story in that segment and distracting from the enjoyment of the piece as a whole. All three dancers were compelling and their synchronisation of detailed pieces of choreography was impressive, as was their grasp of the language of their dance. Particularly touching was the dancers’ sensitivity and connection to each other, communicated so clearly and beautifully with little facial expression or eye contact, just movement. What was perhaps most successful about this entire piece was how well the several alternating scenes of fluidity versus the more forceful movement were strung together so smoothly. Through this balance I was absorbed into a very clear narrative. Without necessarily understanding every moment of it, I went on a very mesmerising journey all the same.